MenuHomePOPHitz NEWSMUST SEEDID YOU KNOW? Photobombs have become a viral sensation, and everyone loves to get in on them. The stranger the character from the dress, the expression or even animals, the better,. But what is most surprising is that even celebrities have gotten in on the photobomb craze, and it is hilarious to behold. 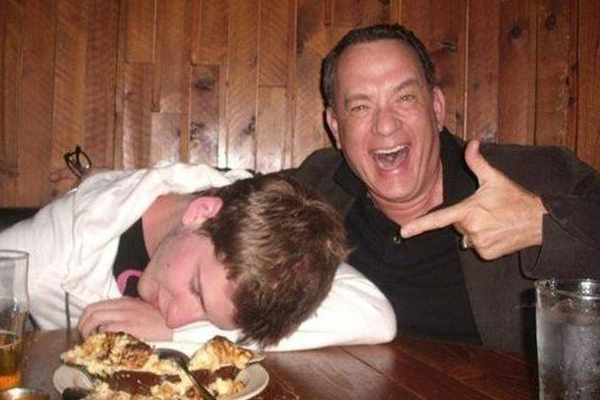 In one of the best and most viral photobombs in history, Tom Hanks plays the greatest prank ever. He was having drinks at a bar when he noticed that some poor boy was passed out at a table. The famed actor decided to give him something to remember the night. Using the boy’s phone, Tom Hanks posed for pictures, and the whole world wanted to be there when he woke up and checked his phone.